Our last 2016 convention was Dutch Xmas Con in Utrecht (The Netherlands). 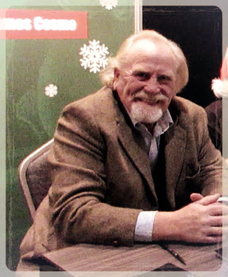 I was very excited about the guest list and especially James Cosmo. This because he is in some of my favorite movies and series like: “Game of Thrones” (Lord Commander Jeor Mormont), “Braveheart” (Campbell), “Sons of Anarchy” (Father Kellan Ashby) and “Trainspotting” (Mr. Renton). 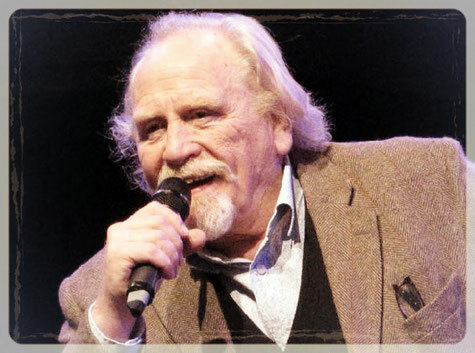 But you may also know him from “Troy” (Glaucus), “The Chronicles of Narnia: The Lion, the Witch and the Wardrobe” (Father Christmas), “Ben-Hur” (2016; Quintus) and “Highlander” (Angus MacLeod). Currently he is taking part in the UK Edition of Celebrity Big Brother. 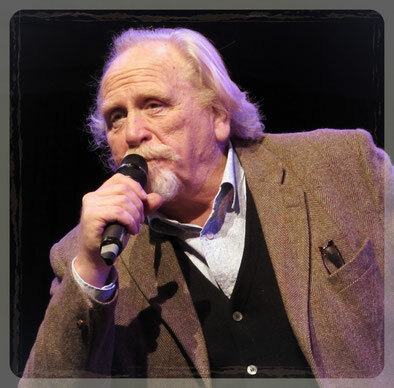 James Cosmo was born in Clydebank (Scotland) on May 24th, 1948 as the son of Scottish actor James Copeland and his wife Helen Copeland. He has been married to Annie Harris since May 2000 and the couple has got two sons (Findlay and Ethan). As the son of actor James Copeland, James grew up with actors around him. He said he played cricket with Sean Connery as a little boy, his dad was always in the pub with Peter O’Toole and he was often found on movie sets. He says it was a great introduction to the business. At the age of 15 he left school and he went to work in a shipbreakers’ yard (on a shipbreakers’ yard old ships get demolished for parts to be re-used or for scrap). This was a very though job, so James tried his luck as an actor. He landed a role in “Dr. Finlay’s Casebook” and his first movie role was the role of Jamie in “The Battle of Britain” in 1969. In the following decades Cosmo played in a lot of movies and TV series. In the mid 90’s he was going through a very bad period as an actor, but then something happened that changed his career. One evening the phone rang and James told Annie, he didn’t want to talk to anyone. Annie picked up the phone and although James made it clear he didn’t want to talk, she gave him the phone. On the other end was Mel Gibson and he offered him the role of Campbell in “Braveheart”. After his role in the Oscar winning Braveheart he got a lot of job offers and his career got a reboot. He played Mark Renton’s (Ewan McGregor) dad in Danny Boyle’s “Trainspotting” (and he will reprise this role in the upcoming sequel). Like I already said; he also played (alongside Brad Pitt and Orlando Bloom) in “Troy” and of course at the moment he is mostly known as the Lord Commander Mormont in HBO’s “Game of Thrones”. Because of his imposing stature James played a lot of tough veteran warriors, but he has also been cast for Santa three times in his career. 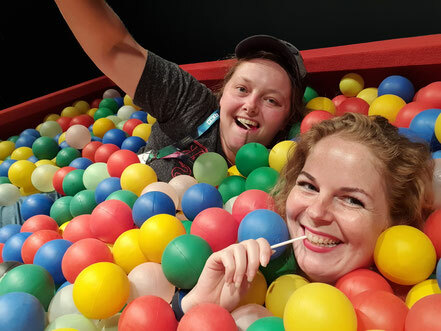 "It was great fun. I really enjoyed working on it. 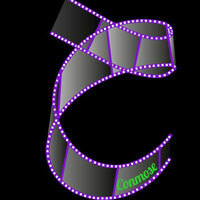 to be on it...Great fun!" James talked about filming in North Ireland for the first two seasons and in Iceland for the third one. When he was asked about his favorite Mormont scene in "Game of Thrones" he had a remarkable answer. According to Mr. Cosmo, his death scene was his favorite. He said it was "good fun" and he thought that Lord Mormont's death was very noble (Mormont is killed by his own, following a mutiny at Craster's Keep). "He was killed by some horrible scoundrels and that was great fun to do. It was very traumatic". His favorite scene in the series was the Red Wedding scene, "because it shocked everyone so much". He said he really enjoyed watching the reaction videos for this scene on YouTube. Of course he also talked about other things than "Game of Thrones". His favorite actor to work with was Peter O'Toole (known for movies like: "Lawrence of Arabia","Man of La Mancha", "Murphy's War", "The Lion in Winter" and many more). They worked together on "Troy" (2004). He told about how his father (James Copeland) and Peter O'Toole were great friends, so he knew him since he was an 8 year old boy. He said it was great to work with him almost half a century later. 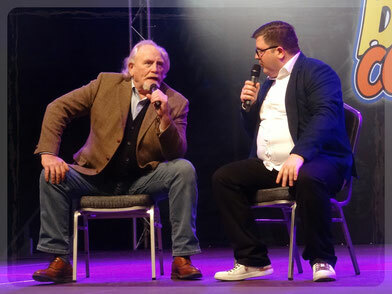 he was my favorite, I would say..."
He also talked about reprising his role of Mr. Renton in the new "Trainspotting" movie and about how he loved playing Father Christmas in "The Chronicles of Narnia: The Lion, the Witch and the Wardrobe". It was a very nice Q&A to attend and James really seemed to have fun doing it. After the very interesting Q&A I knew for sure: I wanted to meet the man, who played a role in so many great movies and series. So when he got back from his Q&A, I took my chance and stepped up to his table. I also had a little present for him ("knapkook"; a cookie that is typical for Limburg, the province we live in). Mr. Cosmo was very grateful and he told me he was going to try one later, "with a nice cup of good Dutch coffee". When preparing for Dutch Xmas Con, I put "The Last Legion" (2007) on my watch list ( I already saw a lot of the movies and series that James played in, some of them multiple times, so I chose this one). James plays the role of Hrothgar, a Barbarian Goth Warrior. Although the movie got a lot of bad critics, I actually liked watching it (check out what it's about and what I thought of it in our article "Movies we watched in December"). It's an adventure movie based on the 2002 novel of the same name. The movie stars a lot of "Game of Thrones" actors, so I talked to Mr. Cosmo about it and asked him what it was like to play in a movie with so many other actors from "Game of Thrones". When I was talking about it, I realised that a lot of them weren't in "Game of Thrones" together with him, but he did remember Iain Glenn (Ser Jorah Mormont) and Owen Teale (Ser Alliser Thorne). When I told him I liked it, he seemed genuinely surprised and told me that he didn't watch it himself. That cracked me up. He said something about riding horses again, obviously hinting on him playing in a lot of historical movies. After this I did (what Carola calls) my autograph dance and picked a photo to have signed. After he signed the photo (and while Carola was almost being bumped aside by a very energetic Steven Williams) I asked Mr. Cosmo If it was possible to take a picture together and he immediately agreed. 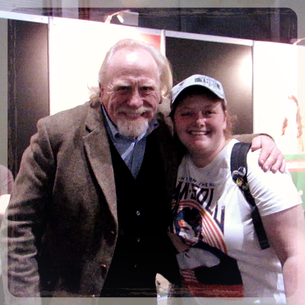 I am very glad I got the chance to meet this great actor and lovely man. 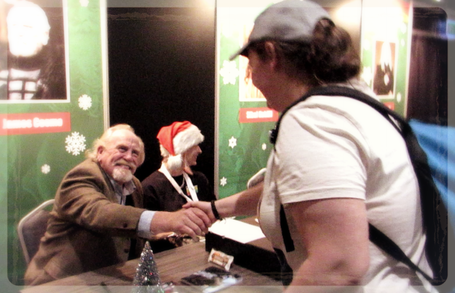 He was so very nice and if you ever get the chance to meet him, don't hesitate. So Mr. Cosmo: thank you for your kind words and I hope you enjoyed the "knapkook", we gave you. And now I'm gonna enjoy a nice cup of Dutch coffee! In Trainspotting he plays Ewan McGregor's Dad and in Narnia he plays Father Christmas. Yes I really loved his character in Game of Thrones and I can tell you he is great in real life too. He was very nice!